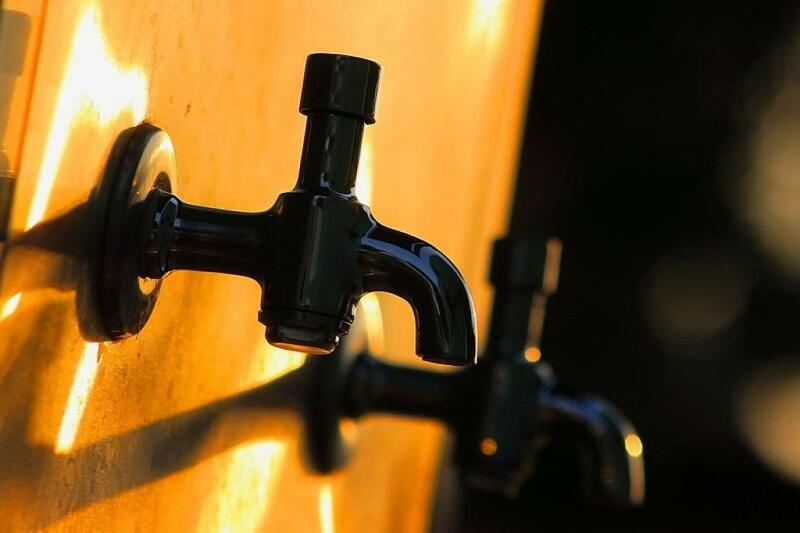 UPDATE (May 31): The Himachal Pradesh High Court, on Wednesday, ordered to cut water connections of 224 hotels and guest houses that have not deposited their water bills. In the light of acute water crisis in the town, the court also passed an order to stop all construction activities in core areas of Shimla to save water. It has also banned car washing for a week and prohibited tankers from supplying water to individuals, particularly those living in VIP areas. Inordinate delay in execution of Kol Dam Lift water supply scheme to provide 55 million litres per day (MLD) to Shimla is the root cause of the worst ever water crisis in this hill town. The plan was to lift water from Satluj, as conceived in early 1970s, but there were no funds. After construction of 800 MW Kol dam project, the proposal was revised to lift the water through World Bank funding. The project is in the final stage and execution would start as soon as funds are released by the WB, which has already inspected the site and that means the town would have to bear with the problem for at least three more years. A water war has ensued in the town, with people from almost all localities hitting the streets with empty buckets, obstructing traffic and trying to surround local officials and politicians. Thirsty residents and protested against non-availability of water. The situation has turned so ugly that police have booked more than 200 people, including councillors. In the past, the BJP had agitated against the water shortage when the Shimla Municipal Corporation (SMC) was controlled by the Congress and CPI(M). This time, the party is at the receiving end. Mayor Kusum Sardet has left for China leaving the people in lurch and former mayor Sanjay Chauhan has blamed the SMC for failing to manage water supply. “We have not taken bath for one week now and are compelled to buy mineral water to drink,” said Gargi, a local, while adding that they can’t even send their kids to school. The residents vented their ire on social media cautioning tourists against visiting the town. Last weekend, the occupancy of hotels in Shimla was 90 to 100 per cent, but now, even the hoteliers are advising guests to cancel bookings. As per the data procured from the tourism department, there are only 268 registered hotels in Shimla that have 4,356 rooms with 9,064 beds. However, according to Tourism Industry Stakeholders Association, there are 670 unregistered flats and homes in Shimla and adjoining areas that are illegally run by online companies. “These homes are mostly located in residential areas and are eating into the water share of domestic consumers,” says Rahul Chawla, general secretary, Tourism Industry Stakeholders Association. The minimum requirement of the town with a population of around 172,000 is about 35-37 MLD and the floating tourist population (about 100,000) puts an additional burden of 8 to 10 MLD. However, the town is receiving 18 to 25 MLD of water from its five sources: Giri, Guma, Churat, Chaher and Koti-brandy. Water supply of one of the main sources—Ashwani Khud (supplying 8 to 10 MLD)—was shut down after sewerage got mixed with water and resulted in outbreak of jaundice in 2015. Due to paucity of water, the rates of tankers which were otherwise Rs 2,500 (for 12,000 litre) have increased to Rs 6,000 to Rs 8,000. Also, the sale of disposal plates and mineral water has increased manifold. Owing to a 72 per cent rain deficit and scanty snowfall during winters, the water sources have not been recharged and have virtually dried up due to rise in temperature. The series of issues that landed Shimla in to this trouble are failure to plug the leakages from water lines that delivered 80-85 per cent of the water supplied and leaked the rest, irrational supply of water (supply was not affected in VVIP areas while the common residents cried for water), nexus of hoteliers with line men and inadequate number of tankers being pressed into service. Following boycott of courts by bar association to express solidarity with people, the Himachal Pradesh High Court intervened into the matter and issued elaborate instructions to the civic body asking it to meet an emergency situation like this. Division bench of High Court comprising acting Chief Justice Sanjay Karol and Justice Ajay Mohan Goel took suo moto notice of the situation and directed the municipal corporation to stop supply of water through tankers to VVIPs, except the governor and the chief minister, suspend all construction activities and wishing of cars for at least one week or till the situation becomes normal. It also asked the SMC to approach the Army to divert the water used for Golf course at Annadale for public use and also the Indian Institute of Advance Studies which has huge storage. As the situation aggravates, the government swung into action and chief minister Jai Ram Thakur started monitoring the water supply. First, a committee headed by chief secretary Vineet Chaudhry was constituted to monitor the situation on hourly basis on May 28 and the same evening, Shimla was divided in three zones to supply water on a fixed time table with a three-day gap. He also asked that at least one tanker be made available to every ward. “The crises cropped up due to drying of water sources which reduced the availability to 50 per cent but we are taking all steps to meet the emergency situation,” said Jai Ram Thakur adding that a long-term plan for durable solution to the problem is the need of the hour and we are working on it. The scarcity of water has forced the Shimla district administration to postpone the five-day-long summer festival, which was accorded a status of international festival, scheduled from June 1. The festival was once cancelled in 1970 due to a 35-day-long agitation by Non-Gazetted employees and in 1977 due to assembly polls while on several occasions, programmes were washed due to heavy rains.